You’ve decided to get sober. Congratulations! Or maybe you’re already sober and looking to make more upgrades to your life. The biggest factors in your success will be whether or not you’re equipped with the right tools and support to get where you want to be. 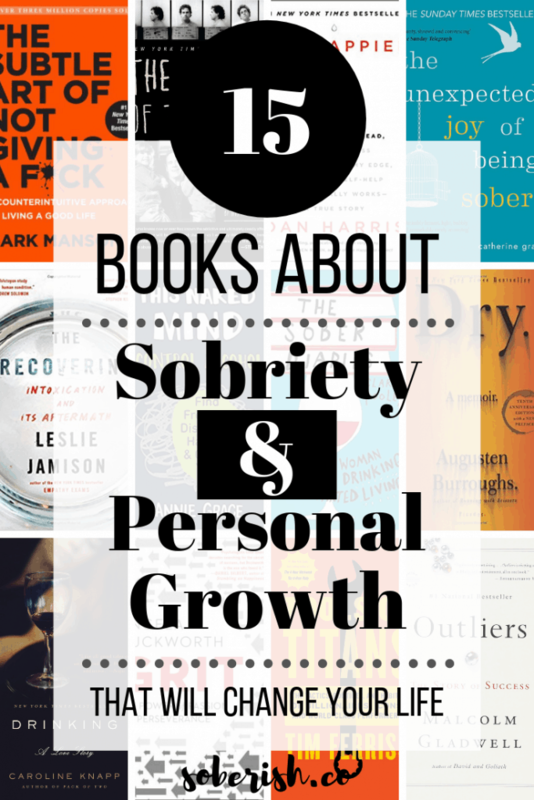 These books about addiction and personal growth can help get you there. 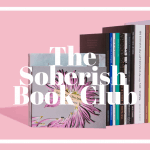 I’m going to share with you my personal favorites as well as non-sobriety related books on a whole host of topics that helped me get to 2.5 years of sobriety and a life I actually look forward to living each day. At the risk of sounding a little too “self-help-y”, let’s dive right in. This book by Caroline Knapp was the first recovery memoir I ever read. It sparked the beginning of my transformation. I had never read the thoughts of someone who knew exactly what I’d been going through. Until I read this book, I felt a combination of broken (or at the very least, defective) and hopeless. This memoir chipped away at both feelings. This is the second addiction book I read in the beginning of my sobriety and I loved it for vastly different reasons. David Carr was a beloved journalist for The New York Times who passed away from (yes, you guessed it) lung cancer in 2015 after he collapsed on the floor of the newsroom. I would not classify David Carr as a high functioning alcoholic or drug user. The fact that he survived his addiction is a miracle in of itself. I can’t relate to much of Carr’s experience with drugs and alcohol, but I could connect to inner demons that drove him to it. What’s so fascinating about this book is that he approached it from the standpoint of a journalist. 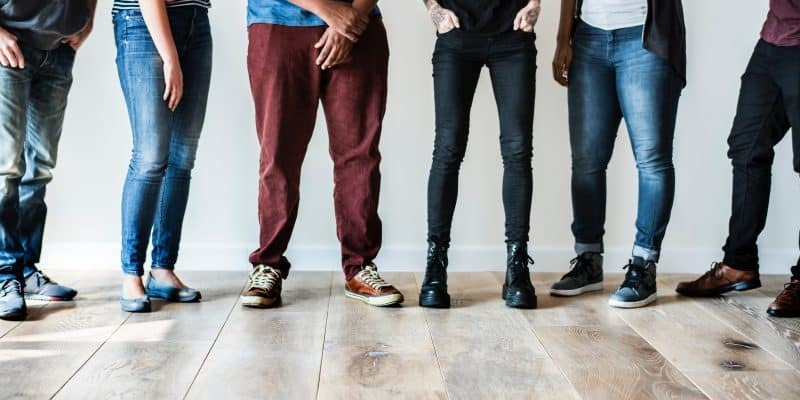 Because of alcoholics and drug users have notoriously terrible memories, he went back and interviewed the people in his life who had been there to try to piece together what really happened. The insights you pick up along the way are so powerful. Carr understands addiction and the personal destruction that leads you to it. He made me think about what I was doing in ways nobody else had done before. No matter how severe your struggles with addiction or alcoholism, this book will be useful for you! This is a more recent read for me by Leslie Jamison, also a noted writer. Do you sense a trend here with creatives and addiction? That’s actually a perfect segue into what sets Jamison’s book apart from most recovery memoirs and books about addiction. In a brilliant narrative style, she constantly flips back and forth between her personal story and a history of the alcoholic creatives who came before her, their lives intersecting in fascinating ways. She quite literally walks the same paths, frequents the same haunts, and engages in the same downward spiral as many great writers who came before her. It is part memoir, part history lesson, and part social critique. I was enthralled by this book. I especially connected to the way she drank and her constant tug-of-war over being an alcoholic. Was it just par for the course for creatives or could her drinking really be considered a problem? 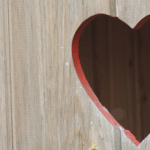 She takes the reader on a very humbling journey through her recovery and experience with AA where she (rightfully so) gets knocked off her high horse and into a reality that I believe saves her from herself. This book is beautiful, informative, and inspiring for anyone who is trying to change their relationship with alcohol. This gem of a book by Clare Pooley is a nice departure from the intensely introspective books I just mentioned. And that’s not to say that it isn’t introspective (of course it is!) but it’s also funny and more lighthearted. I cracked up laughing as many times as I nodded my head in knowing, alcoholic agreement. The basic premise of this book is that she is letting us peek into her diary during her first year of sobriety. Pooley went from a high-power advertising executive to a stay-at-home mum with an enormous wine belly and a whole host of regrets she attempted to drink away. Her first year of sobriety is filled with highs and lows and I was so grateful for her willingness to share it so openly. Did I mention she’s hilarious? This is a memoir by Augusten Burroughs of Running With Scissors fame. If you haven’t read that book, I highly recommend it. The story of his childhood is absolutely wild. There’s just no other way to describe it. That being said, Dry blew me away. Burroughs writes with a dry wit that is utterly engrossing. I found myself in disbelief that his life took some of the turns it did while at the same time rooting for him. His dysfunction has the weird quality of being both uniquely his own and universal. There’s also the dark comic relief offered throughout which I am a big sucker for. Burroughs’ story will break your heart, but if you’re familiar with his other work, that might not be surprising. It’s gritty, honest, and not the perfect, happy-ending we’re all looking for, but it’s real. Honorable Mention. 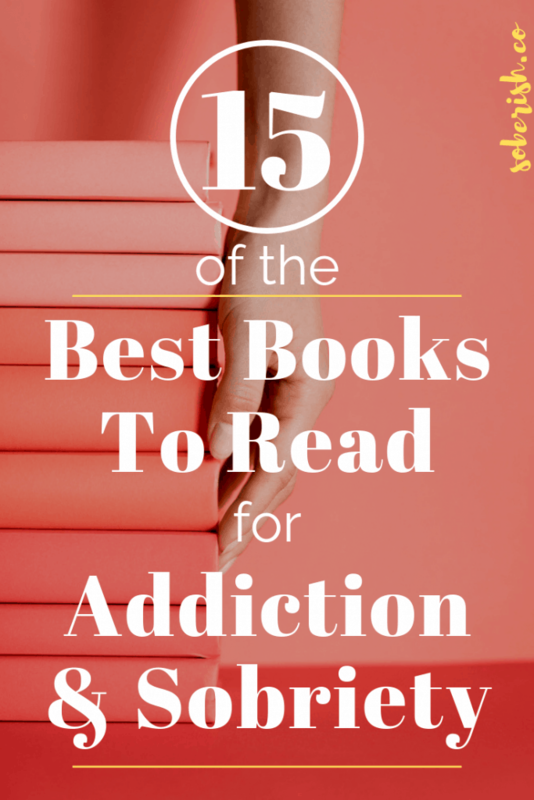 I have not personally read or finished the following books but they are on my list and everyone in the recovery community swears by them, so here you go. Annie Grace has a great podcast and YouTube channel for people looking for additional resources and tools. I’m excited to read this book because I know that she does a lot to peek behind the curtain to see look at the psychological and cultural components to why we drink too much. She helps the reader sort out WHY they drink and make big changes from there. Where I diverge from Annie Grace is believing in the notion of controlling or reducing alcohol. I believe that mindset leads a lot of people with alcohol dependency back into drinking, but that aside, everyone I know who’s read this book says it changed their life, so there must be something to it. I admittedly have this book by Ann Dowsett Johnson in my library and started it back in 2016 but have since forgotten it. I will finish it eventually. At the time, I needed to hear stories more than facts and statistics, which is what Ann’s book is (that is NOT a bad thing). Drink is not an addiction memoir so much as an investigative look into why women, specifically, drink and despite my mindset at the time of reading it, I did find it fascinating. Especially the evolution of mommy drinking culture and how we got this place where we’ve tried to normalize drinking as a way to cope with the stresses of being a woman in today’s modern world. Even typing this, I find myself hankering to open it back up. This addiction book by Catherine Gray has not been on my radar, but I know that it is routinely on everybody’s list for must-read recovery memoirs. I’m going to read it though because it sounds like her story is closely related to my own. I also appreciate that she interviewed top psychiatrists and neuroscientists for this book to get a better understanding of what drives us to become addicted to alcohol. I’m a firm believer that understanding the root of problems is the key to fixing them. I’ve just started this book by Admiral William H. McRaven, but I’ve been familiar with the concepts for a long time and incorporate them into my life as much as possible. In this book, McRaven shares the top ten principles he learned during Navy Seal training and how they can transform a life. The first one is easy – every morning, make your bed. You’ll have the first task completed and it sets you up for completing more tasks throughout the day. Personally, making my bed first thing helps me start my day from a place of calm. The bed looks neat and orderly, I can keep trudging through. In case you’re wondering, I’m not a neat freak. I’d show you a picture of the current state of my living room, but pride won’t let me. I’ve talked about this book by Dan Harris before and I will continue to advocate for it like I personally receive a cut of his royalties (I do not). Meditation has transformed my life, truly. I would not be where I am today (or sober) without it. That being said, it did NOT overnight transform my life. For the first couple of years, I believed I failed at it and/or it was total BS depending on my mood. But many moons have past and it is an invaluable tool in my life’s toolbox. I love this book because Dan Harris has such a realistic, genuine take on meditation as a transformational tool. His story is compelling. Harris’ journey starts after he had a panic attack on live television (he’s a network news anchor) and realized he had to do something to get his life under control. Snorting copious amounts of cocaine and trying to get to the top of the cutthroat news world wasn’t cutting it. Enter, begrudgingly, the world of meditation. Read this book. Listen to his podcast. Trust me! Oh, how I love this book by Mark Manson. I’m a reformed self-help junkie and this book just spoke to my spirit. The whole “power of positive thinking” doesn’t work. Life is never going to be all sunshine and rainbows, so what to do? First, drop that fluffy nonsense. Second, get a reality check. Life is inherently unfair. There are winners and losers and sometimes people who work really hard don’t get where they want to be. Manson argues that there are only so many f@cks we have the capacity to give in this life, so we need to choose them wisely. He teaches the reader how to reframe the narrative of what it means to live a good life, how to be realistic when confronting life’s challenges, and finding some peace. His tell-it-like-it-is style is super refreshing. Manson is NOT a Debbie Downer nor is he pessimistic. He IS trying to break through the noise of “if you just think positively, positive things will happen” so that people can stop torturing themselves with this mindset and actually find something resembling joy. I’m a constant cheerleader for this book by Charles Duhigg and will continue to be until he’s proven wrong. If you’re trying to get sober or do anything else in this life that involves big changes, you need to read this book. At the core of this book is the idea that by understanding how habits work, you have the power to change bad ones and reinforce good ones. I personally find it so compelling because Duhigg does a wonderful job of showing what this looks like in the real world with anecdotes from individuals to businesses to Olympic athletes. You’ll finish this book feeling like change is attainable and you finally have the tools to get there. If you’re not familiar with Malcolm Gladwell’s work, I highly recommend checking out all of his books. He has a fascinating ability to weave seemingly disparate anecdotes together to create a picture of some ultimate truth. His books are interesting and will change the way you view the world. Outliers is fantastic because it dispels a lot of the magical thinking we have about what makes great people so great. High-achievers are not special unicorns, it turns out. This book will help you see the world, and your own potential, much more clearly. A lot of us drink because we are trying to escape ourselves and our lives. My journey includes constantly striving to understand myself and the human experience more, learning about success, and then find some courage to go after it. Striving and doing hard things makes me feel better about myself and the better I feel, the less I want to drink. In this book by Angela Duckworth, you’ll learn about the psychology of grit and how grittiness (in some circumstances) can outperform luck or talent. I say this with the caveat of some people will try their damndest and never make it in this world. This book doesn’t claim otherwise. It is a helpful tool for changing your mindset when you believe you can’t do something or aren’t enough. It’s a science-backed breakdown of the power of passion and perseverance. I’ve had a very up and down relationship with Tim Ferriss (in my mind, we don’t know each other in real life). He has a very straightforward approach to life’s challenges that at one point became off-putting to me, but I think it had more to do with my mindset at the time. Currently, he is one of my best teachers. I listen to his podcast and feel instantly motivated. This guy knows his stuff and constantly shares it with people. Through this pursuit, he gifted us all with his book Tools of Titans. First, let me say that this book is HUGE. Like, encyclopedias all crammed into one huge – 707 pages to be exact. Not all of them will be interesting or relevant to your life. This book is a collection of wisdom from some of the most successful people in the world on a variety of topics. Whatever nuggets you’re looking for can probably be found somewhere in this book. The great thing is that every interview has actionable steps you can take to make some kind of improvement to your life. It’s like having access to the inner thoughts to the wildly successful people you’ve always wanted to emulate. You don’t read this book cover to cover. It’s more a resource guide to use as you see fit. If you’ve made it this far in the article, I hope you found some resources to add to your collection. Whether it’s addiction books, recovery memoirs, or something from the self-improvement aisle, the important thing is that you’re collecting information and making an effort to be better. That’s what counts the most!